Together Boréalis and GeoTraceability provide tools for gaining visibility on the social and environmental impact of businesses and addressing challenges around stakeholder engagement at the start of supply chains. Increasingly, the media and consumers are interested in the social and environmental impact of companies. Investment banks and equity funds are also concerned about possible impacts and want assurance that evaluations are performed and mitigation strategies are available. This is starting to influence commercial decisions, beyond the traditional CSR activities of organisations. Companies need to understand and manage, their impact on the environment and communities at a local and global level throughout their supply chain. They need to engage with stakeholders in order to secure their supply, protect their brand, and ensure the success of their investments. Initiatives with smallholders / small-scale producers at the start of the supply chain are no exception. Consideration needs to be given not only to the processes and practices used during an initiative but also the people – how to most effectively interact with, and engage, local communities and individuals. Too often investment is made in gathering supply chain data from smallholders with little consideration as to how to obtain their buy in. This could influence the quality and reliability of the data collected and even threaten the survival of the initiative and the investment. Both Boréalis and GeoTraceability are passionate about helping organizations make data-informed decisions. This partnership brings together data on the start of a supply chain with data on broader Corporate Social Responsibility (CSR) activities and impact management tools so that clients can report holistically and respond to issues. This will support clients wanting a transparent view of the social impact of their business and an easy mechanism for reporting, monitoring and management. For Patrick Grégoire, Boréalis CEO, and Pierre Courtemanche, GeoTraceability CEO, working together makes a lot of sense. Our combined expertise and technology will help transforming supply chains into value chains in which all stakeholders will get tangible benefits. But who are Boréalis and GeoTraceability? GeoTraceability specialises in large-scale data collection and traceability programs adapted to producers and smallholders in developing and emerging countries. GeoTraceability builds trust and transparency throughout supply chains. Since April 2014, GeoTraceability has been a part of the PricewaterhouseCoopers (PwC) network of professional services firms. Boréalis and GeoTraceability look forward to the synergy which can come from combining Boréalis’ stakeholder, community engagement and sustainability management solutions with GeoTraceability’s expertise and tools for data collection and management with smallholders and small scale producers in remote locations. 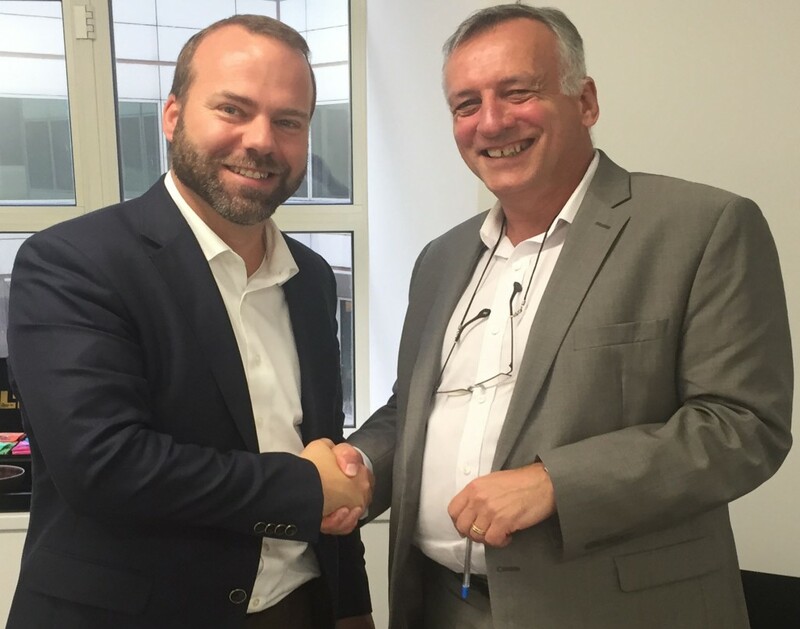 Patrick Grégoire, CEO at Boréalis with Pierre Courtemanche, CEO at GeoTraceability.